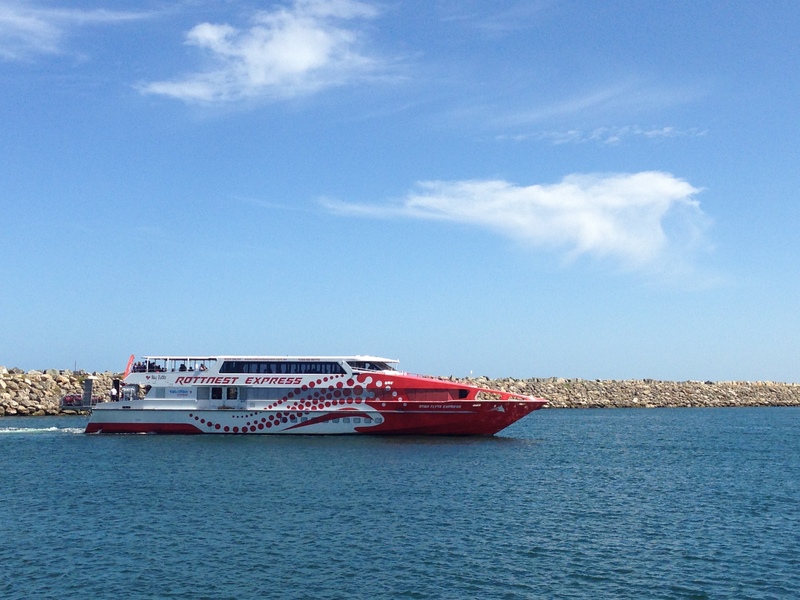 We boarded the Rottnest Express ferry at Northport, Fremantle and 30-minutes later we were collecting our bikes on the pier. It was a seamless transition since our luggage would be delivered directly to our accommodation. 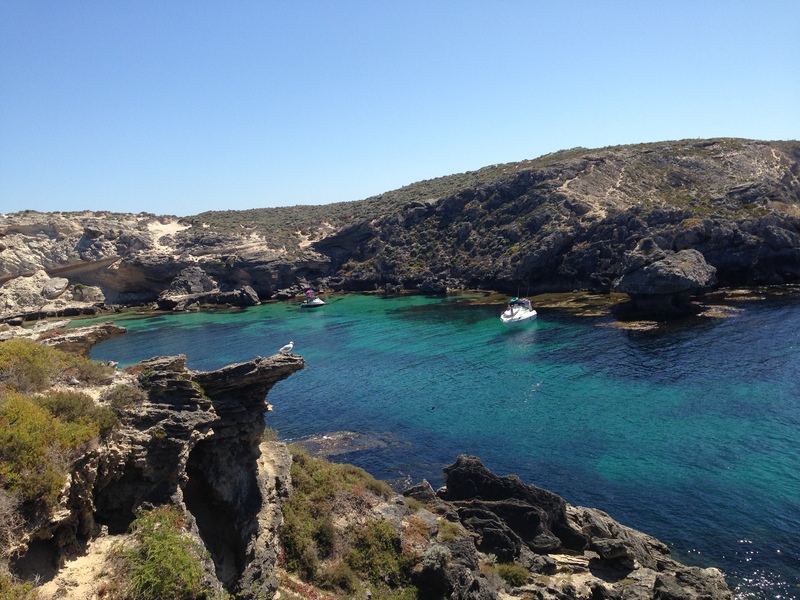 Rottnest Island is a car-free haven known for its idyllic beached, snorkeling, and the unique marsupial: quokka. We were not prepared for the black flies that crossed the line from annoyance to harassment at Parakeet Bay. We were safe from them in the water so we quickly got in the clear, cold bay, but were swarmed as soon as we emerged. I spent the next couple days trying to avoid them. Thankfully wind and movement kept them at bay so I was mostly okay biking around. 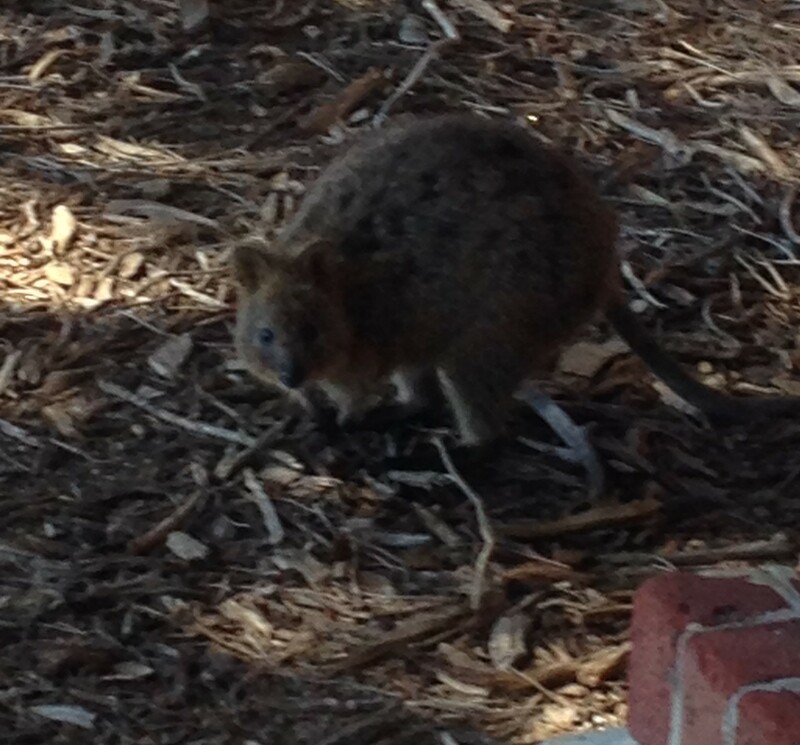 After a few hours on Rotto we finally spotted a quokka, indigenous marsupials that resemble miniature wallabies. I expected them to be brazen with all the tourists feeding them, but they were docile and cute. We saw most of the island during our 2-day stay. We pedaled 50 minutes to the west end and were rewarded with dolphins. The flies hadn’t discovered Little Salmon Bay so it was crowded with people. The snorkeling was worth braving the crowd. We mostly self-catered, enjoying the grill at the Kingston Barracks, but could not resist a snack and drink at Rottnest Hotel with its manicured lawn overlooking the Indian Ocean. 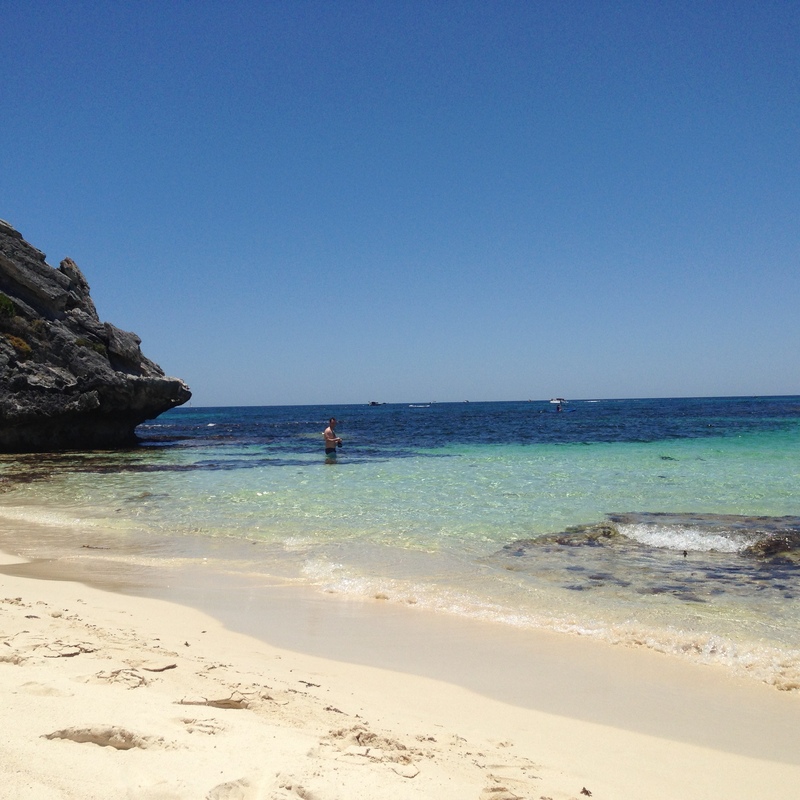 Rotto seems like the perfect place to spend your summers as a kid. I’m sure you get used to the flies. Weather: hot! hot! hot! It was 100 degrees the day we left. A little windy on the first day. Heavy duty sunblock required. Accommodation: WWII Kingston Barracks was basic and clean. We think our room was a refurbished office. Located a 7-minute bike ride from the main settlement, so it was nice and quiet.